Top Business schools in India have been extremely rigorous with their entrance procedures even after the students have cracked their GMAT or CAT or ATMA or MICA or SNAP or whatever. So this is the first thing that you are going to look at when preparing for an interview for top MBA colleges in India. During your PI, you must reflect a good confidence level while answering to different questions. Interviewers often end up multi or even cross questioning you even on the answers you answered appropriately just to verify your faith in your answers. But all you need to do is grab that question, grip it, quickly reach for an answer, but most importantly, do not fumble. Because once you fumble, half the interviewer’s job is done. He will reject you for sure! So that’s the basic tip folks. Stay confident. DO NOT LIE. I said do not lie. I however did not say do not be a good diplomat and maneuver the answers in a way they sound acceptable. And that is to generic questions like your strengths and weaknesses. However, there is something called the Fact File. Your fact file comprises of your certifications, your work experience and other factual data. You never ever must even think of playing a diplomat here. Because if you are smart, remember they are smarter. If they catch you with anything foul or cooked up, you are gone and so is your dream to crack a PI of say one among the top 10 B schools in India. In some cases, the person who is conducting an interview himself may be wrong with some fact or statistic. But, do not strangle him or hold him to court for that. He might just ask you to leave in the middle of the interview. Now, with or without him being at fault, it is very important you are polite and humble throughout the interview duration. 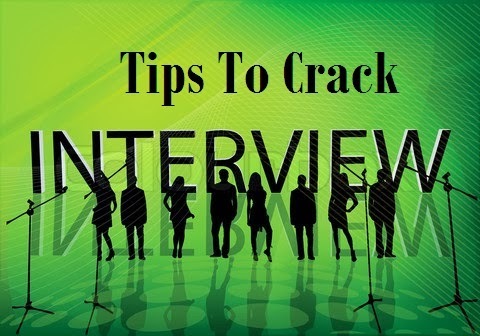 That will only bring out the good in you before the interviewer and he might just consider you on these grounds with solely Humble Gesture as the parameter. Really! Your body language talks a lot! Did you know that your body actually speaks? It does. For eg. When you place your palm on the cheek and stoop down it shows you are disinterested. When you are standing with feet apart considerably, it depicts dominance. So the next time you go for an interview, do be careful of the body language you portray. You must never forget this key aspect to your interview. Be thorough with your GK, be thorough with your books, be thorough with current affairs.. just be thorough, and thorough with EVERYTHING that you do. I hope you have benefited sufficiently with these tips. If you are an MBA aspirant and are dreaming of a dream career with an MBA from amongst Top 10 MBA colleges in Mumbai, enroll with iFeel today. iFeel is amongst the few Business (MBA) institutes that nurture managerial talent to think beyond traditional system of business. It helps students come up with innovative ideas with an objective to transform the business environment. Institute for Future Education, Entrepreneurship and Leadership (iFEEL) is designed and created with the primary motive of imparting Leadership & Entrepreneurship education. It also aims at facilitating and molding budding managers into future Entrepreneurs which is the need of the hour. This program is structured keeping in mind international business practices and standards. At iFEEL which is amongst Top Business schools in India, we are passionate to create charismatic and zealous entrepreneurs who will lead the corporate world of Incredible India. Come and enroll at iFeel today.